Ideal for all-weather offroad adventures, the Handlebar-Pack keeps gear secure and dry in all weather conditions. Its cylindrical shape holds up to 15 litres and is ideal for soft, stuffable items like an insulated jacket or sleeping bag. The robust fabrics and fittings ensure long term durability. The twin roll closures promote easy access and allow any size load to be centred in the middle of the bike. The Handlebar-Pack fits easily and securely to the bars using twin straps and adjustable spacers. The lightweight internal stiffener and stem further improve security and stability. Velcro straps help to attach the bag to the bars. 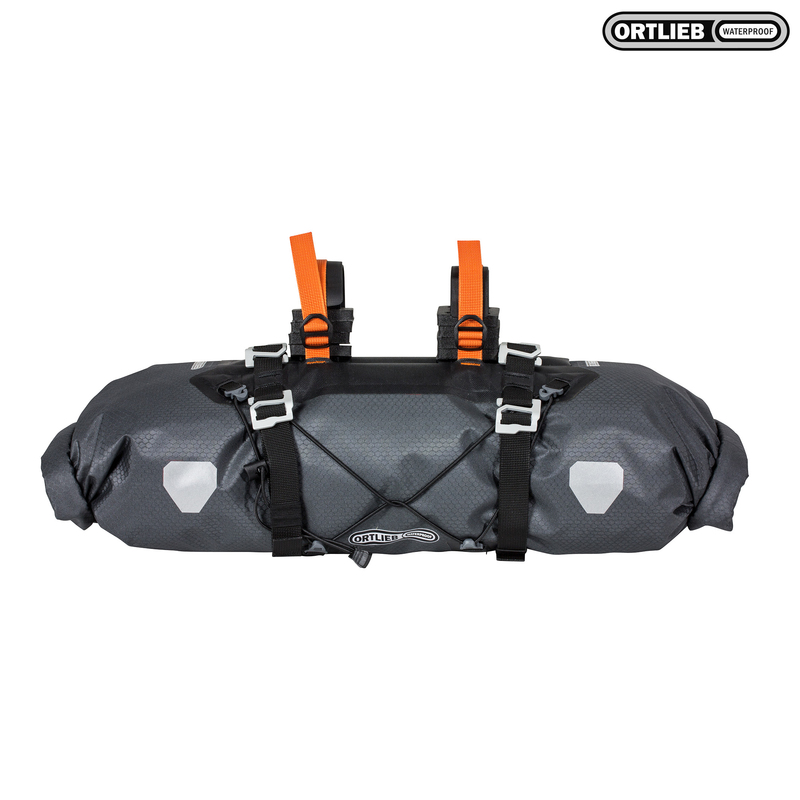 Additional gear can be stowed externally using the shock cord and compression straps. Alternatively, the optional Accessory-Pack can be easily attached to the front of the Handlebar-Pack (using the supplied metal hooks).